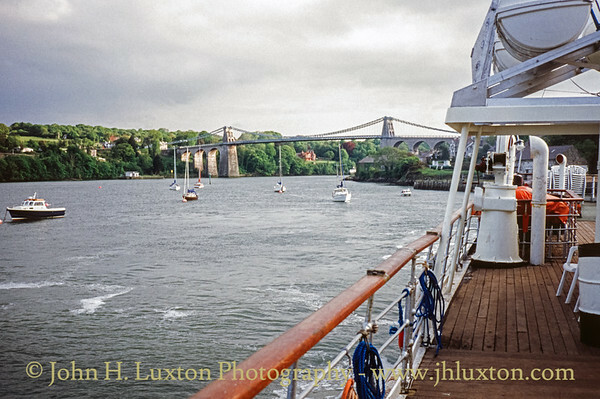 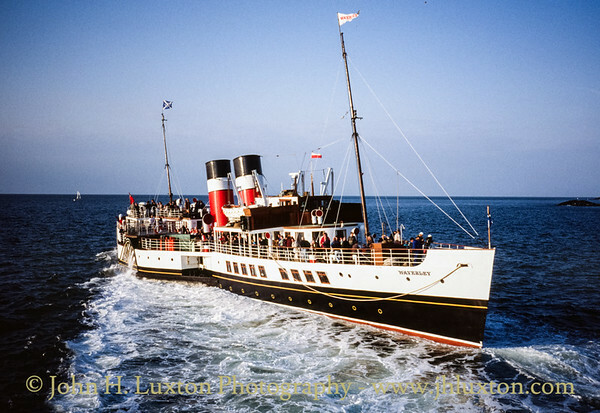 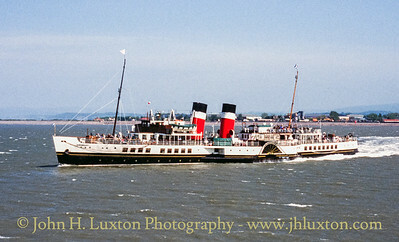 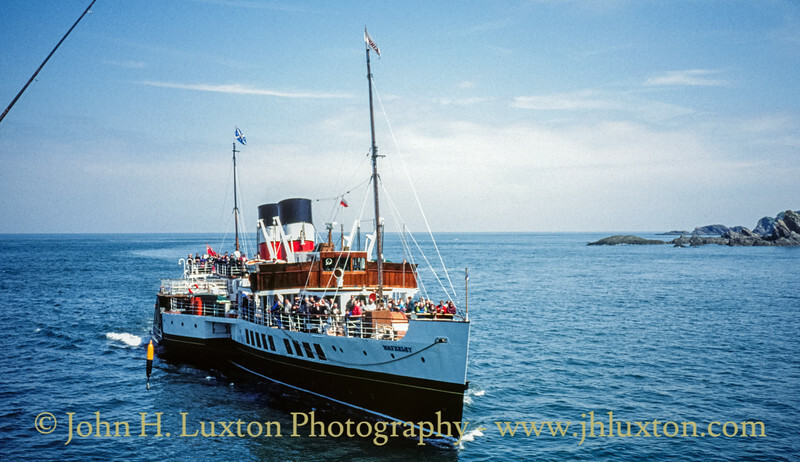 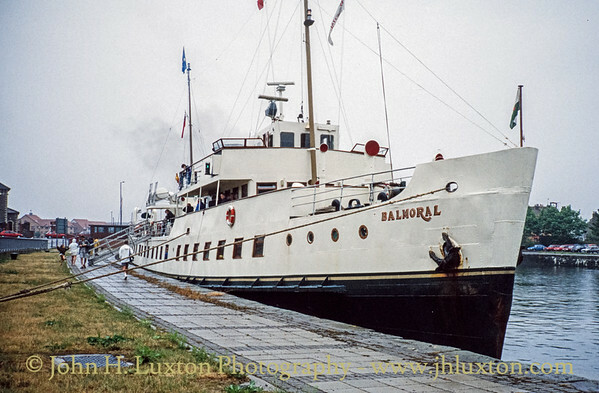 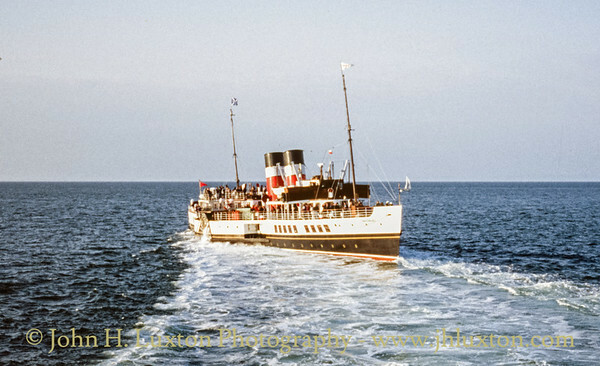 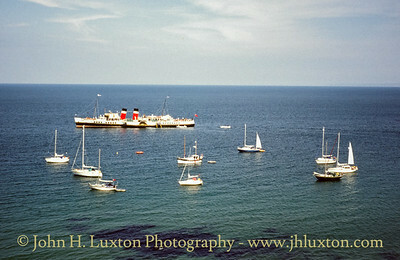 35mm Archive Photographs of PS WAVERLEY and MV BALMORAL taken during the 1970s to 1990s. 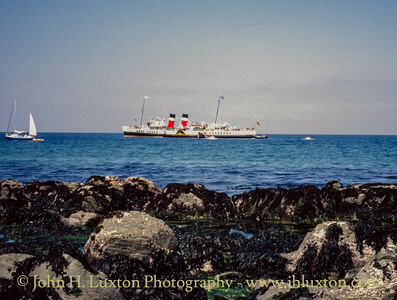 Some images are taken from slide film and others from 35mm negatives transferred to Kodak Photo-CD. 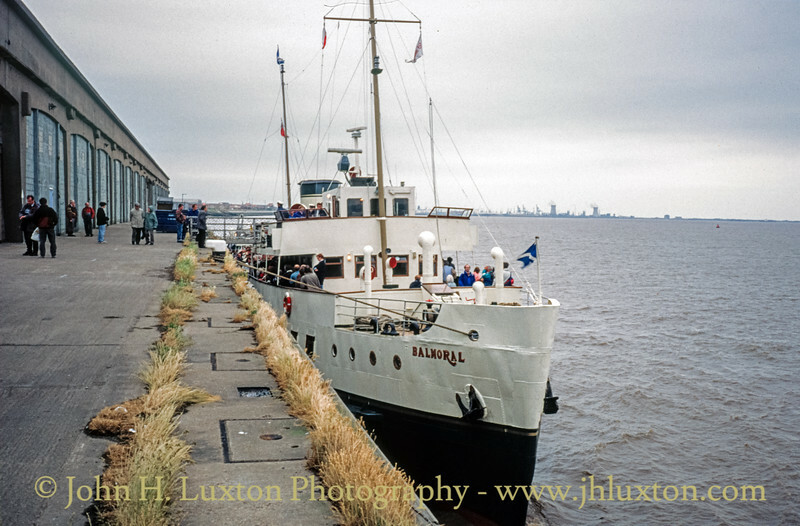 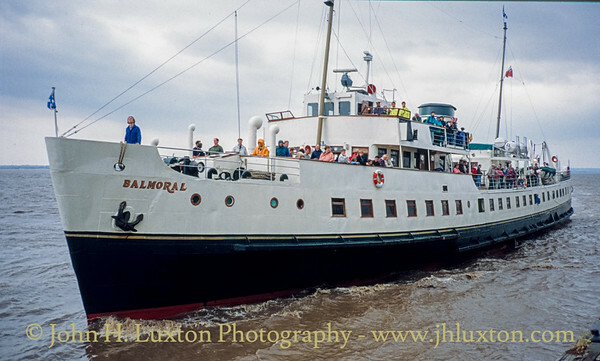 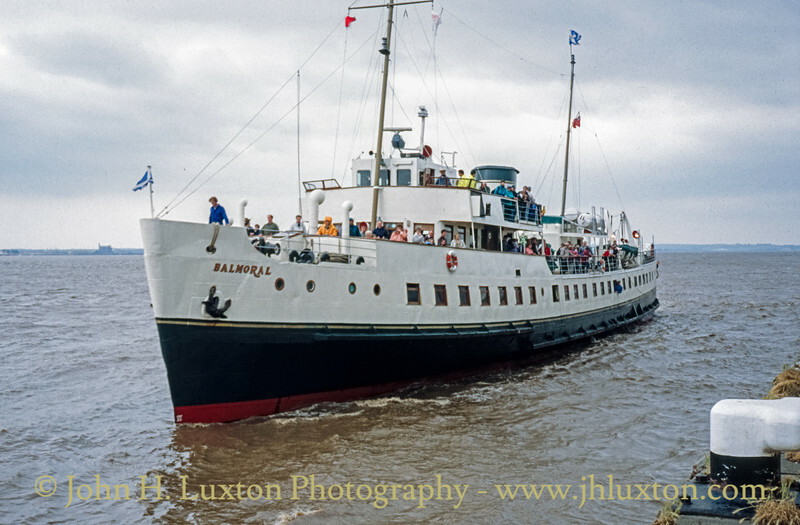 MV BALMORAL at Hull operating a River Humber Cruise to Goole - May 1994. 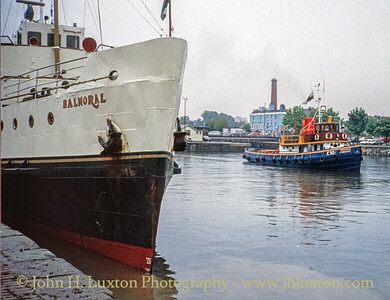 MV BALMORAL in Cumberland Basin during a Clevedon to Bristol Docks cruise. 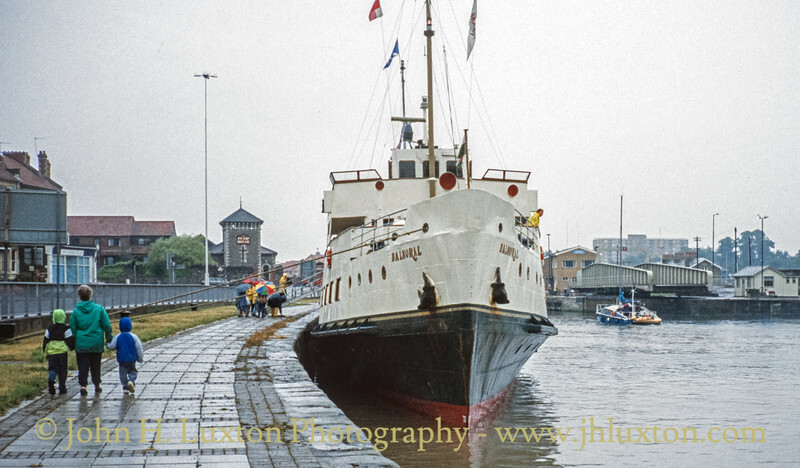 The ship berthed for a while to allow for incoming traffic through the locks and was joined by historic tug Thomas. 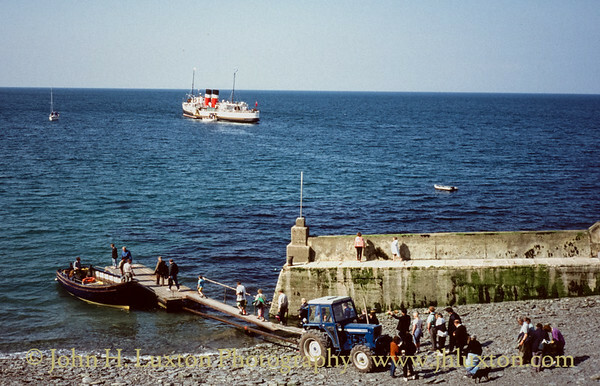 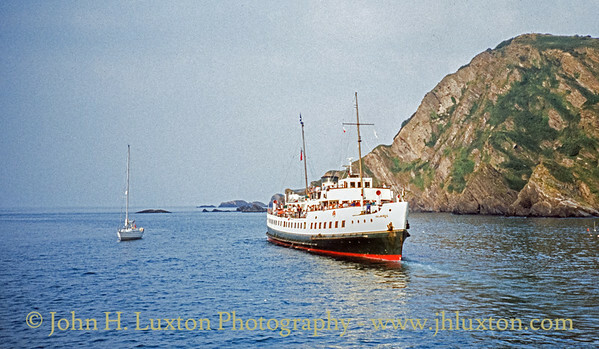 PS WAVERLEY on a Lundy Island call with passengers being tendered ashore as the Lundy Pier had yet to be built. 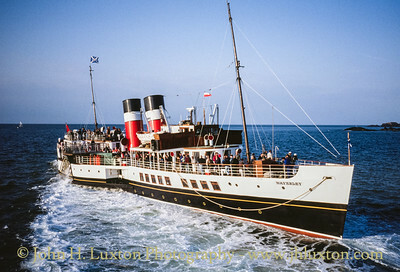 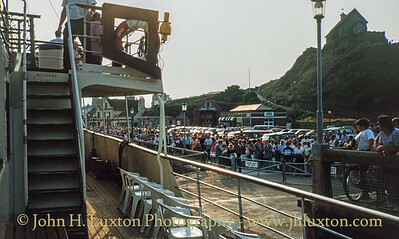 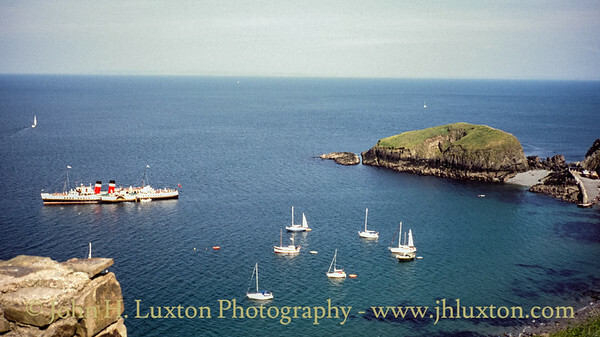 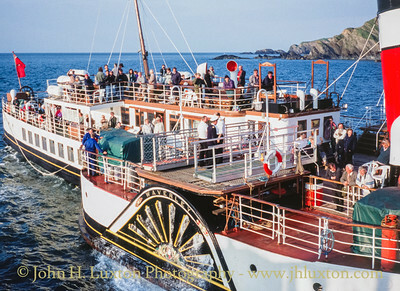 PS WAVERLEY arriving at Ilfracombe. 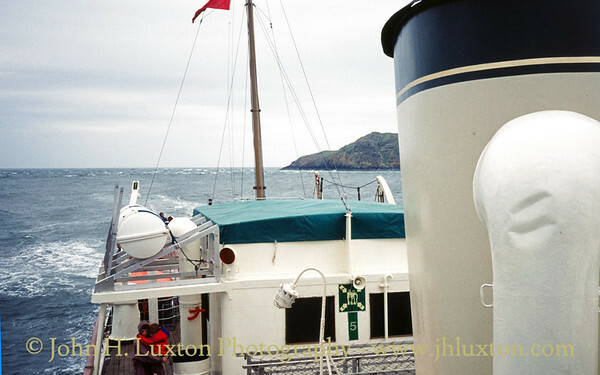 The object close to the starboard paddle box is actually an angler's float!